It seems Vietnam's gains from the TPP were merely hypothetical. Vietnam was the country with the most to gain from the TPP. Increased market access, especially to the United States, would have supported an export manufacturing boom and outsized GDP growth in what is already South East Asia’s fastest growing economy. The demise of TPP at the hands of President Trump, though, is not as big a deal as one would think especially with Vietnam’s trade and investment boom. Firstly, the TPP never came into force. Vietnam’s gains from the agreement were both hypothetical and prospective. The demise of the TPP is considerably less consequential for the participants than, for example, rewriting NAFTA will be. While there is anecdotal evidence that manufacturers had been building capacity in Vietnam in anticipation of the TPP, especially in the textile and garment sectors, which would have enjoyed tariff-free access to the United States, it is also evident that many other factors have driven FDI into one of South East Asia’s most dynamic economies. Labor costs, rapid growth in the domestic consumer market, and a healthy network of existing trade agreements, have all contributed to Vietnam’s reputation as a magnet for FDI and the growth of its domestic exporters. Memberships in the ASEAN Economic Community and the Vietnam-EU FTA are more than sidebars. Secondly, something will replace the TPP. Positive statements from the Prime Ministers of Japan, Australia and New Zealand, all indicate a new found willingness to conclude the TPP without the United States. These are trading nations, and the economic and social benefits of free trade to their citizens are self-evident. There is speculation that other countries – China, Indonesia and South Korea for example – will be invited to join the TPP. Vietnam’s Asian partners are important to its success. Trade with countries such as Japan and South Korea typically comes hand in hand with much needed FDI – a more elusive feature in US trading relationships. President Trump’s stated policy of negotiating bi-lateral trade agreements with the TPP member states, Vietnam included, opens the door to the possibility of enhanced US market access in any case, although it remains to be seen just how attractive these “America first” trade agreements will be. Thirdly, Vietnam has made multiple statements since the US election that it will implement the domestic reform commitments it made in the TPP regardless. Those commitments included reforms to the SOE sector, government procurement, labor representation, intellectual property rights, e-commerce and the digital economy. Vietnam did not sign up for the TPP without considerable internal debate, and the proponents of these reforms most probably won their arguments before the agreement was signed in Auckland in February 2016. While external commitments have been a powerful influencer in keeping Vietnam’s domestic reform programs on track, the government is committed, for genuine reasons, to push on with market liberalization and other reforms. Apart from anything else, Vietnam recognizes that reform is essential to maintaining its economic competitiveness. Lastly, the TPP was not a one-way street. US companies that were set to make significant gains under the TPP have had those taken away. The TPP would have eliminated Vietnamese tariffs on virtually all manufactured goods made in the United States, and would have enhanced IP protection for American companies. US exporters have anticipated meeting Vietnam’s burgeoning infrastructure needs and selling to its growing industrial supply chains. US companies have made a lot of progress in Vietnam in the absence of TPP, and this will continue, but some of this lost opportunity will be taken up by manufacturers from China, Japan, South Korea, South East Asia and the EU. It is also possible that we will see some import-substitution in Vietnam, with what might have been “Made in USA” being produced in Vietnam’s already booming industrial zones. Good news for Vietnam’s manufacturing workers. 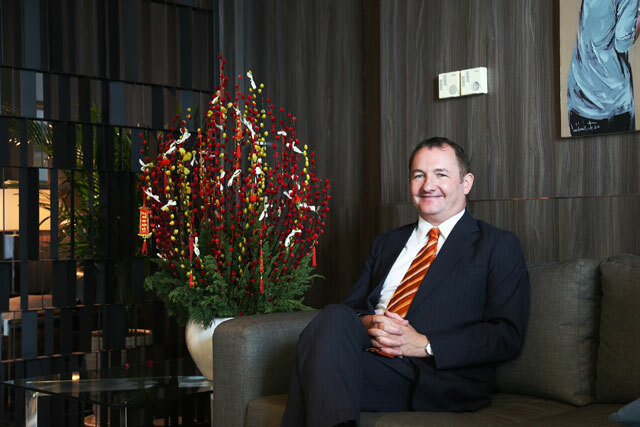 Warrick Cleine is the Chairman and CEO of KPMG in Vietnam and Cambodia. He is a member of KPMG’s Asia Pacific Board and Global Council, and is the Global Leader of High Growth Markets for KPMG’s Tax practice.